A stationery set of items to help you be prepared in class or in the office. 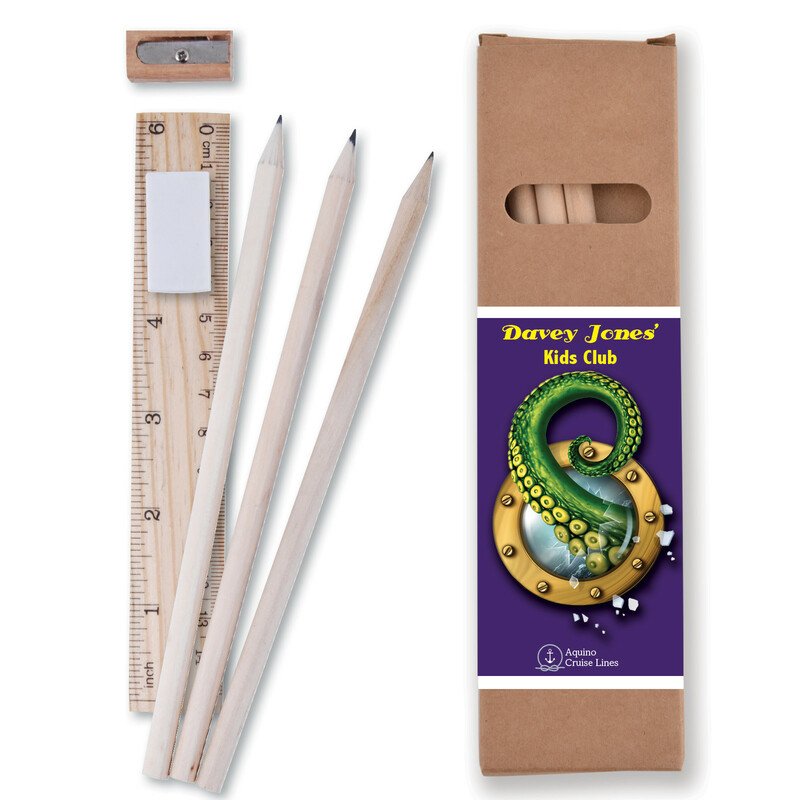 Provide everything a student needs to be prepared for class. 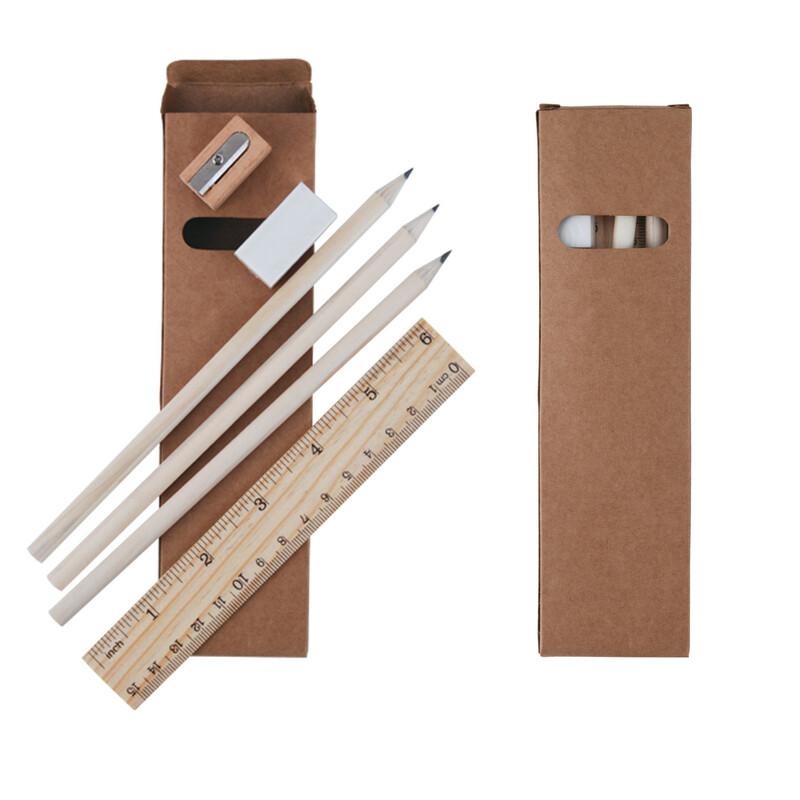 This stationery set contains 3 natural case lead pencils, 15cm timber ruler, white eraser & natural pencil sharpener. They are packed inside an unbleached recyclable cardboard box.